It's Day Four of my week of nutritious milk-based recipes - and this was actually the first recipe I found and trialled. I was amazed at how easy it was to create something that could pass as both a posh pudding and a (relatively, it does have sugar!) healthy alternative to jelly and ice cream (the desert of choice for my kids). The ingredient list is also short - and made up of items you're likely to have to hand. The original recipe was twice the size, but I found the quantities I used filled four ramekins nicely. Instead of using caramel sauce for the topping, I made a topping from fresh fruit - which increases the vitamin count, gets in one of your 'five-a-day' and enables you to use any fruit you have that might of seem better days! I also used 20g of gelatin as that's the size packet I had - it set VERY quickly! Put the milk in a saucepan and add the beaten egg/eggs - then heat - stirring continuously. When the mixture boils, reduce the heat and allow to cook for two more minutes. Prepare the gelatine according to the pack instructions, making sure it is all dissolved and add it to the boiling mixture. Stir the gelatin through the milk and egg mix, to ensure no lumps later. Turn off the heat and add the sugar and vanilla and stir until completely dissolved. Pour into four ramekins, and transfer to the fridge. 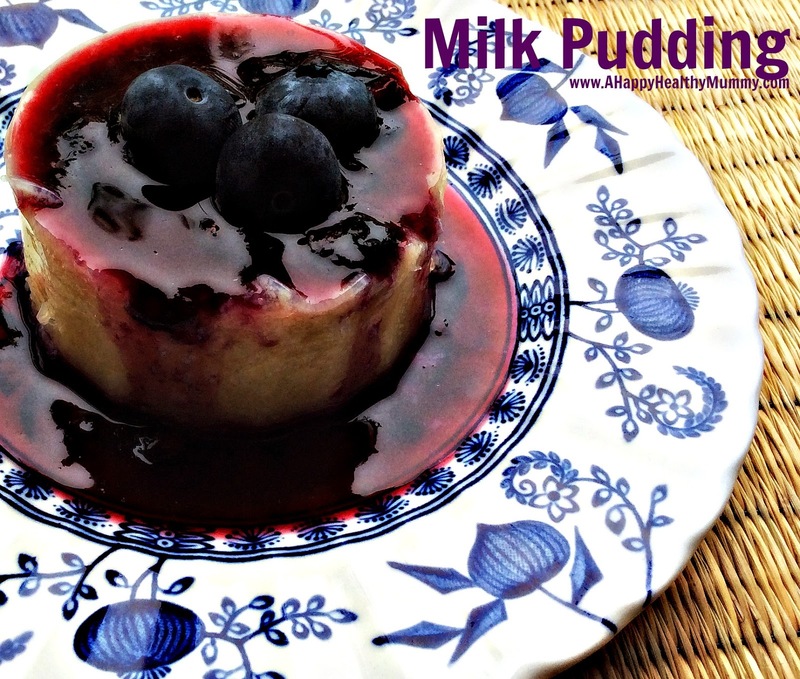 When the pudding is set and you are ready to eat, make the sauce by placing the berries, sugar and water in a small saucepan and heat until the fruit begin to break down and the sugar is dissolved - leaving a sticky topping. Slip the puddings out of their ramekins and onto a plate, pour over the sauce, add a few spare berries or a slice of strawberry and serve!